Ariana Grande has revealed that she will return to Manchester to perform a benefit gig for the victims of the horrific suicide attack which took place at her concert in the city on Monday evening. The singer posted a large statement to Twitter where she revealed her plans. I’ll be returning to the incredibly brave city of Manchester to spend time with my fans and have a benefit concert in honour of and to raise money for the victims and their families. I will have details to share with you as soon as everything is planned. Just this past Monday a 22-year-old who drank, smoked weed, and rarely practised Islam, went into the foyer of the Manchester Arena as thousands of Ariana Grande fans were leaving. There he blew himself up killing 22 people – most of them incredibly young. 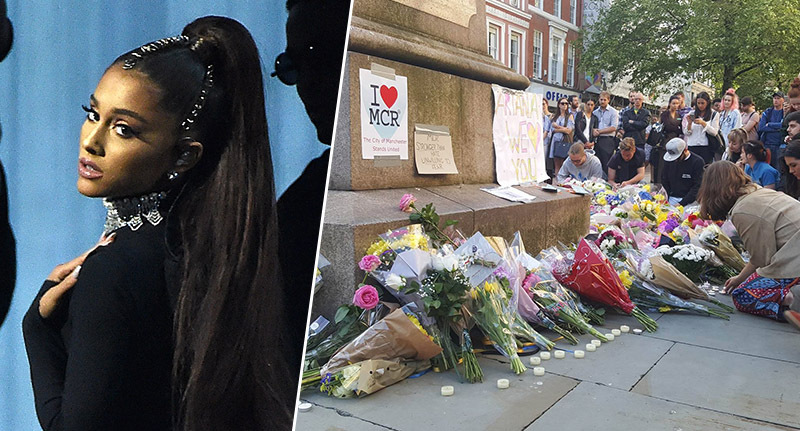 In the immediate aftermath of the barbaric attack, Ariana Grande herself tweeted that she was ‘broken’. Now she’s responded to terrorism in the finest way possible. By refusing to back down and to perform another gig, in the same city, all to raise money for those whose lives were changed and changed utterly by Monday night’s cowardly attack.